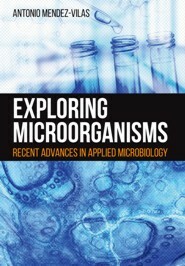 Readers will find this book a useful opportunity to keep up with the latest research results, insights and advances in the microbiology field. Born in Bern, Switzerland, in 1975, Antonio Méndez-Vilas is the General Manager of Formatex Research Center. He develops applied research to the study of microbial cells characterization and adhesion to surfaces of biomedical interest. Apart from his specific research line, in which he has authored about 40 international papers and presented works at different congresses, he is heavily involved in many different activities related to the development of science and technology in some cutting-edge areas, with an emphasis on interdisciplinary of current applied research, and he has also given rise to some different international projects within some of the EU Operational Programs and Initiatives.